This is 'Magic'. 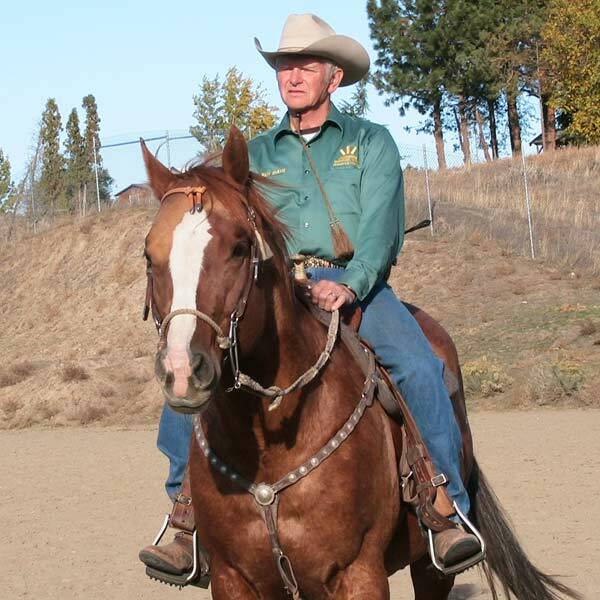 He is the product of breeding an own daughter of Bugs Alive In 75 to Fire Water Flit, unquestionably one of the leading barrel horse sires of today. 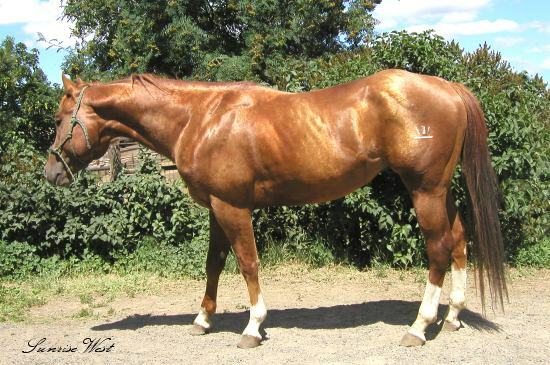 The Sugar Bars - Leo cross which produced Flit Bar has been considered a 'magic cross'. We feel there is magic brewing today whenever the sons of Flit Bar are crossed on the daughters of Bugs Alive. 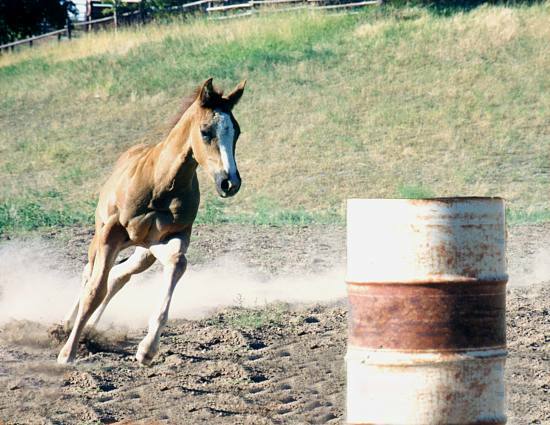 In January, 2009, Magic made the trip to his new home in Italy, where he will be participating in barrel racing and standing at stud, making these superior bloodlines available to horses on the other side of the world. 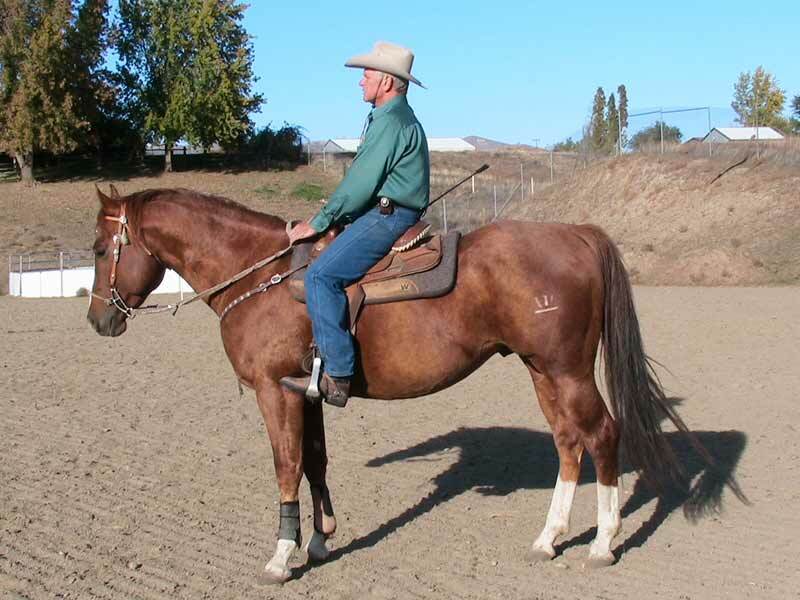 We have had great success with Flit Bar bred horses, and Fire Water Flit is that in spades. And Bugs Alive? 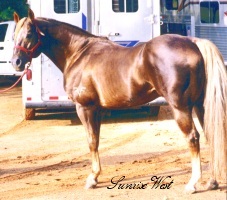 Well, he is the all time leading maternal grandsire of money winning barrel horses. And there he is in the pedigree of Fire Water Magic, just where he is supposed to be. Magic is rather uniquely marked. 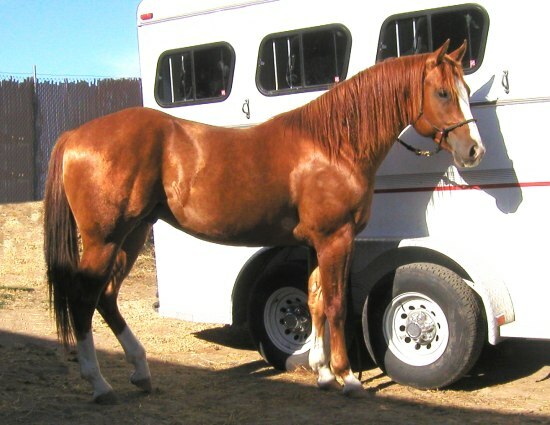 His basic coat is a dark red-brown, similar to the dark palomino color of his father. 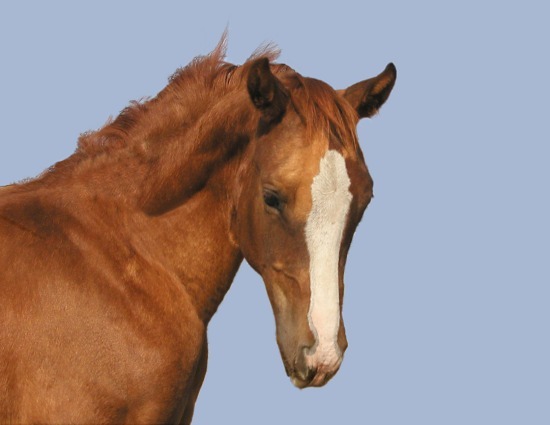 But from birth he has had a sharp, clear color line running from his blaze to his poll that separates the two sides of his face into two very distinct shades. 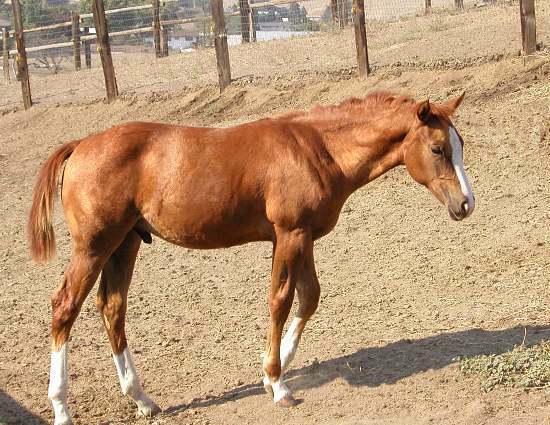 On the right side is a light red-tan, while on the left is a dark, almost chocolate brown. 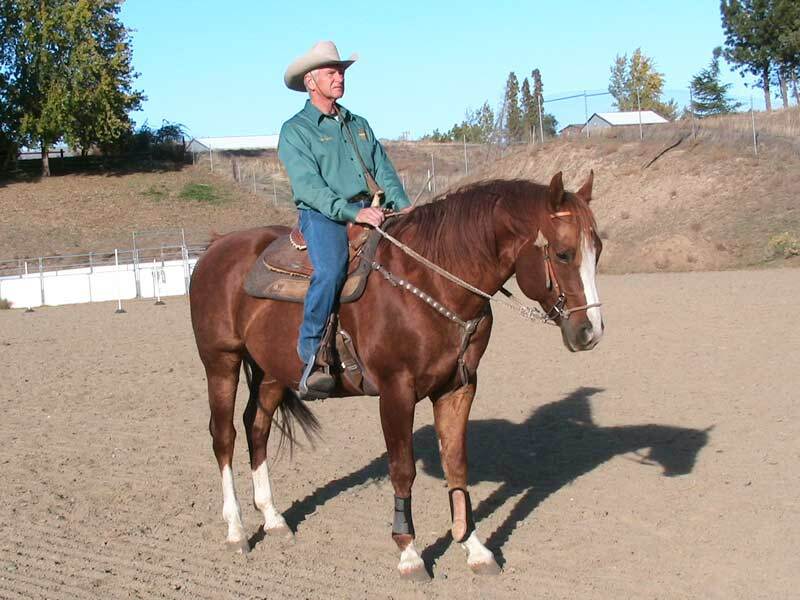 Successful breeders of both today and yester-year say that weanlings and yearlings should look like a horse, rather than a baby. 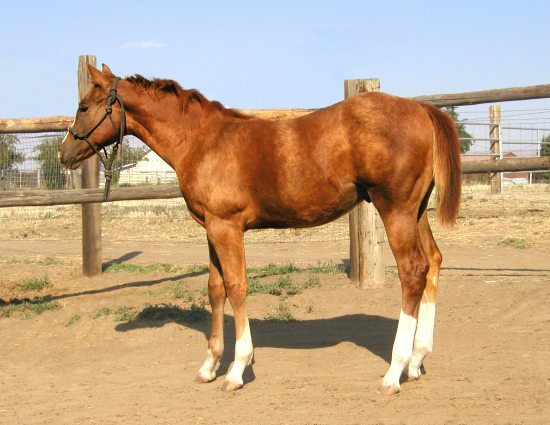 We think you can see the 'horse' in his weanling photos below. 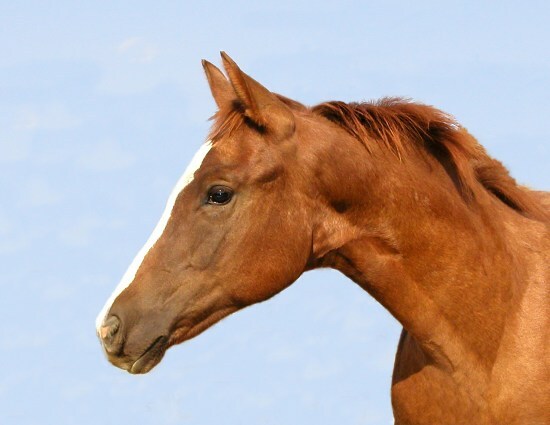 We invite you to look him over, then use the pedigree below to further explore the great horses in this colt's family tree. 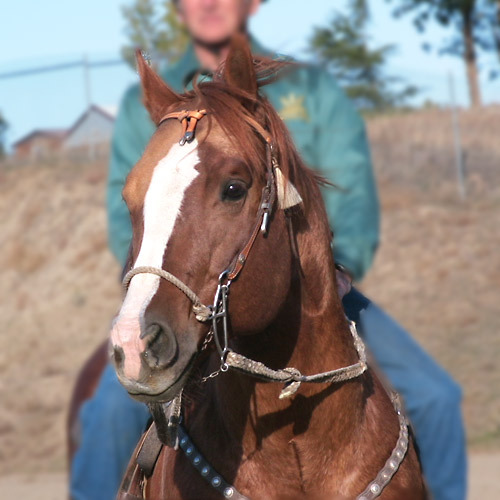 All photographs and text on this page copyright Sunrise West Quarter Horses and R.Jeanne Equine Photography, all rights reserved. Comments about the site structure should be directed to webmaster (at) sunrisewest (dot) com.